Today I finally launched a blog for Deep Design. I’ve been meaning to upload this new blog and make a post for almost two weeks now, but stayed back from posting it. I was trying to make sure the first post on a new blog is informative and gives a good introduction and this stopped me from posting it. I was always making excuses. Currently I am in France for work, and will stay for the entire week, and was going to postpone it again, but instead this morning I decided to just go for it. What is Deep Design? 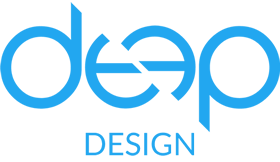 Deep Design is a new startup under which my team and I will be launching all our new projects and apps. Visit Deep Design’s new blog (http://www.deep.com.mt/blog) for a good introduction and let us know what you think. There are several projects in the pipeline so stay tuned! The whole idea of Project NINE came about after needing a simple website service to cater for the small to medium companies and businesses. It offers both the excellence of having a design catered on what is desired, unlimited features to be added and removed any time, the opportunity to modify any changes in own website, but most importantly a low price. Project NINE, is the answer for all small to medium businesses which are eager to expand their business online and undercutting the budget risks. Yesterday early in the morning, at about 2 o’clock I was still up, and spared a few minutes to try out some optimisations on my own site, www.nine.com.mt. In the afternoon I had a great surprise, the optimisations I did improved my Alexa ranking position by much over 1 million positions. I know I’m still far far below but using some simple optimisations, your website can also start ranking higher.